Over the years Michael Mantler has worked with many different artists, all contributing to his music in their own particular way. Examining the whole of his work, one finds that some keep reappearing more often than others, obviously having been of particular importance. An indispensable collaborator and source of inspiration, she has been involved with Mantler's work for a long period of time, not only as "third ear" and as producer of many of his early recordings, but also as pianist (appreciated for her originality and her exceptional musicality). On the other hand, Mantler was also very much involved in her own music and career not only as producer and coordinator of her work, but as performer on many of her recording and touring projects as well. A very long mutual relationship on a musical, business and personal basis. 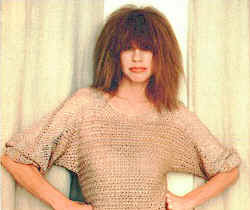 for more information see the Carla Bley Biography and the WATT website. Although sadly no longer with us, Jack Bruce was one of the two most important and distinctive voices in Mantler's universe. 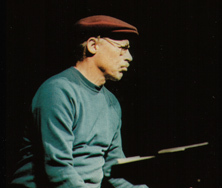 After their original meeting during the production of Carla Bley's Escalator Over The Hill, they had worked together since 1973 on a number of recordings as well as live performances. He provided, almost without exception, the voice for Mantler's interpretations of Samuel Beckett's texts. He appears on No Answer, Live, Many Have No Speech (here also interpreting songs with Ernst Meister's texts in German! ), Folly Seeing All This, and The School of Understanding. For more information see the Jack Bruce website. 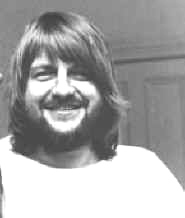 As Mantler's other major and unique voice, Robert Wyatt has been inextricably linked with his music. His whimsical interpretations of songs with Edward Gorey's texts on The Hapless Child are classics, on Silence he not only provided vocals but also percussion tracks, on Many Have No Speech he sings Philippe Soupault's texts in French (! ), and on the School of Understanding album he contributes one central song (which appeared during performances in a specially produced music video clip). Their last collaboration was Hide and Seek, an album featuring duets with Susi Hyldgaard, with music composed by Mantler to texts of Paul Auster. For more information see the Robert Wyatt website. Nick Mason, Pink Floyd drummer, who Mantler met first during the production of The Hapless Child, where he provided some engineering work at his Britannia Row studios, continued to be involved on several record productions (Something There, Live) as well as live performances (a radio concert at WDR in Cologne and at the Frankfurt Art-Rock Festival), providing the rock drumming Mantler had become extremely fond of during a certain period in his musical evolvement. In exchange, Mantler became involved as trumpet player (as well as recording engineer) on Mason's solo album Fictitious Sports. Their collaboration was revived with Mason appearing as soloist in Mantler's Concertos. 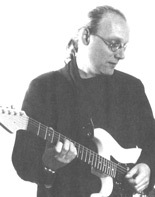 It was also through him that Mantler was introduced to Rick Fenn, the guitarist who was to continue providing the electric guitar role so important in his music (preceded by the likes of Larry Coryell, Terje Rypdal, Chris Spedding, Philippe Catherine and Mike Stern) during several of his next projects, such as the Live, Many Have No Speech and Folly Seeing All This albums. 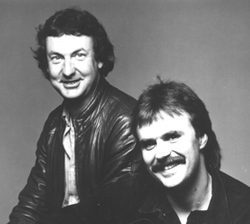 For more information see Nick Mason and Rick Fenn at Wikipedia. Keyboardist with a great range of musicians and original member of Frank Zappa's Mothers Of Invention, Don Preston collaborated with Mantler as synthesist on several recording and performing projects, including Alien (an almost entirely synthesized "orchestral" piece), Live, (with Jack Bruce, Nick Mason and Rick Fenn) and (primarily as singer) in The School of Understanding. For more information see Don Preston at Wikipedia. With Mona Larsen Mantler had found yet another exceptionally interesting voice who has contributed an unparalleled emotional depth to his Cerco Un Paese Innocente album (singing brilliantly in Italian - not her native language...!). She has also been a member of his Chamber Music and Songs Ensemble (Songs and One Symphony) and appears in an important role in The School of Understanding. For more information see the Mona Larsen website. An immensely experienced musician who has performed and recorded with a multitude of musicians and groups, guitarist Bjarne Roupé continues the tradition of the electric (and in some instances also acoustic) guitar soloist. Demonstrating great empathy for Mantler's music, he was a member of the Chamber Music and Songs Ensemble and participated in the Cerco Un Paese Innocente and School of Understanding recordings and performances, followed by appearances on Songs and One Symphony and Hide and Seek. He was the soloist on Guitar during its premiere performance at the Berlin JazzFest, as well as on its subsequent recording released on Concertos. His latest contributions are on For Two (guitar and piano duets) and on The Jazz Composer's Orchestra Update. For more information go to the Bjarne Roupé website. And finally, although not a musician, the author Samuel Beckett has been of great importance and special significance in Michael Mantler's work. 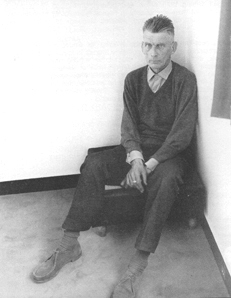 His first use of Beckett's texts appears in the album No Answer (segments from the novel How It Is), continuing to Something There, which originally formed the basis for an instrumental piece, but was later to reappear as a song on Many Have No Speech, which also included other new texts from Beckett's Mirlitonnades. Several of these songs resurfaced again in other versions on the Live album. And finally, Beckett's last poem, What Is The Word, was recorded on the album Folly Seeing All This, sung, as all of his previous songs with Beckett's words, by Jack Bruce. Another interpretation of that poem was included in and represented the conclusion to Mantler's The School of Understanding. For more information see Samuel Beckett at Wikipedia.